The first new graduating class of the Arthur Turner Training School (ATTS) is ready to begin its ministry. 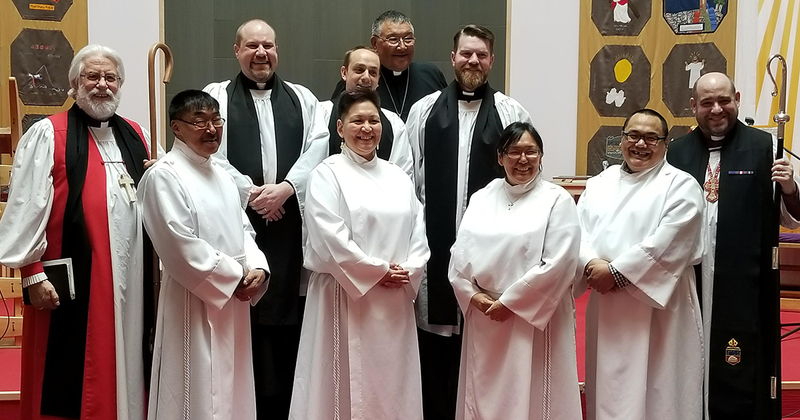 Since the Iqaluit-based school—located in the Diocese of the Arctic—reopened its doors in 2016, this class of ministers has been highly anticipated by both the diocese and their communities. This is partly because each of the new graduates is Inuit and bilingual, speaking Inuktitut as well as English. Bilingualism in both of these languages is highly advantageous for the graduates as they prepare for their ministry throughout the north. “It’s a big deal, [for] a couple reasons,” ATTS director the Rev. Joseph Royal said of the new graduating class. “First of all, we just don’t have enough ministers in the diocese. There are parishes all over the north that want a minister and can’t get one. 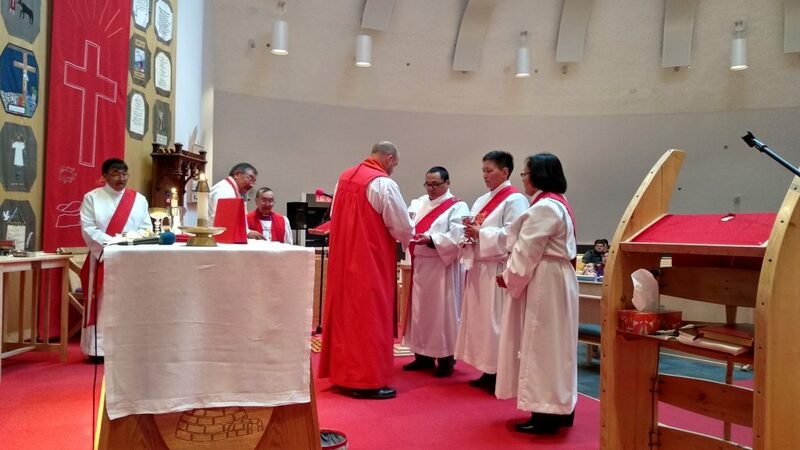 The new graduates include Sarassie Arragutainaq, from the community of Sanikiluaq; the Rev. Annie Keenainak, from Pangnirtung; the Rev. Martha Kunuk, from Iqaluit; the Rev. Esau Tatatoapik, from Arctic Bay; and the Rev. Manasee Ulayuk, from Hall Beach. Arragutainaq received a Certificate in Bible and Theology, while each of the other four graduated with a Diploma in Arctic Ministry, offered jointly through ATTS and Trinity School for Ministry. During their time at ATTS, each of the alumni learned through a combination of classroom study and practical parish ministry. Consistent throughout the program was a resolute focus on Christian discipleship. 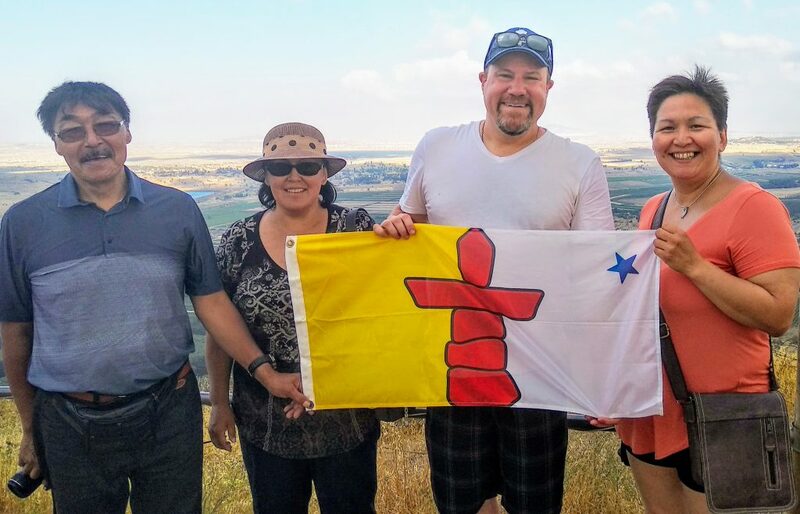 Currently serving as a pastoral assistant at St. Jude’s Cathedral in Iqaluit, Ulayuk plans to move to northern Quebec for his placement and will be appointed to a community as soon as housing is available. Limited housing is a common issue throughout northern communities. “I believe it was my call to come into this college and learn the biblical, to be part of the ministry,” Ulayuk said. He described his time at ATTS as a positive experience, though not without its initial difficulties. Besides Royal, who taught the core curriculum, course instructors included a number of individuals who traveled to the school from outside Iqaluit. Among the latter were National Indigenous Anglican Bishop Mark MacDonald, retired Arctic bishop Andrew Atagotaaluk, and current Arctic bishop David Parsons; Prof. Wanda Malcolm of Wycliffe College, who taught a course on self-care and pastoral psychology; Associate Prof. Ian Henderson, who teaches New Testament Studies at McGill University; and the Rev. David Luckman, Ireland team leader for the international mission agency Crosslinks. Supplements to the core curriculum focused on community outreach, ministry to youth and children, pastoral psychology, counselling, and navigating various crises and emotional problems that may occur within communities. All practical experience took place in St. Jude Cathedral or at a small Inuktitut-speaking church in a nearby community. The bulk of practical ministry experience was done in the Inuktitut language. Classes for the next cohort are expected to begin in January.